TFWF#40: What do you call a Farmer’s Market without Farmers? As many of you will know I have always tried, and enjoyed, being very transparent about the farm and the business. The whole reason for writing the blog was to let my readers follow me on my journey and experience the highs and lows of a start-up business, choosing a niche market and using social media to help modernise the ageing New Zealand Farming community. 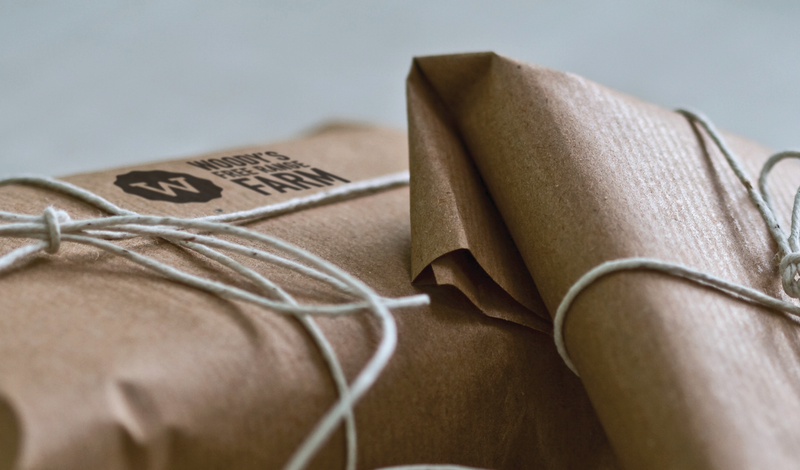 We have always had a singular mission to produce high quality pork and to raise happy pigs in an ethical way. Our pigs require more time and care to raise than those in intensive farming practices, such as free farming and those with sow stalls. 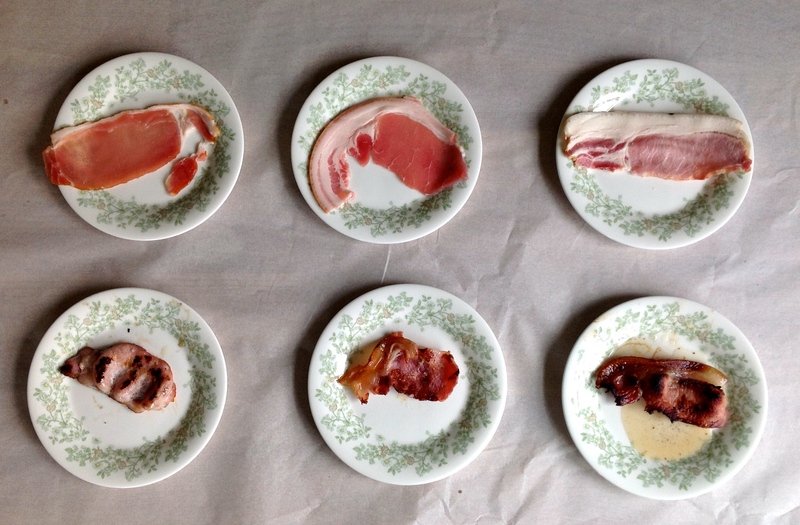 We raise fewer pigs at a slower rate than intensive farms and this means our pork costs more, but tastes much better. We rely on the discernment, interest in provenance and knowledge of our consumers to create demand for ethically-raised, better tasting pork. To achieve our goal we had to build our stocks by searching the country for suitable pigs and starting a breeding program. It is not possible to buy an existing herd of pigs from an intensive farm and free range them because they have been ‘genetically modified’ to suit their environment, instead we chose heritage breed black pigs more suited to outdoors. What this means is that we have less meat product and we therefore have to pick where we sell our meat very carefully to ensure our customers understand and appreciate our story. As of today we have 97 pigs on the farm, some are on the breeding herd, some are piglets and some are coming up to slaughter weight. 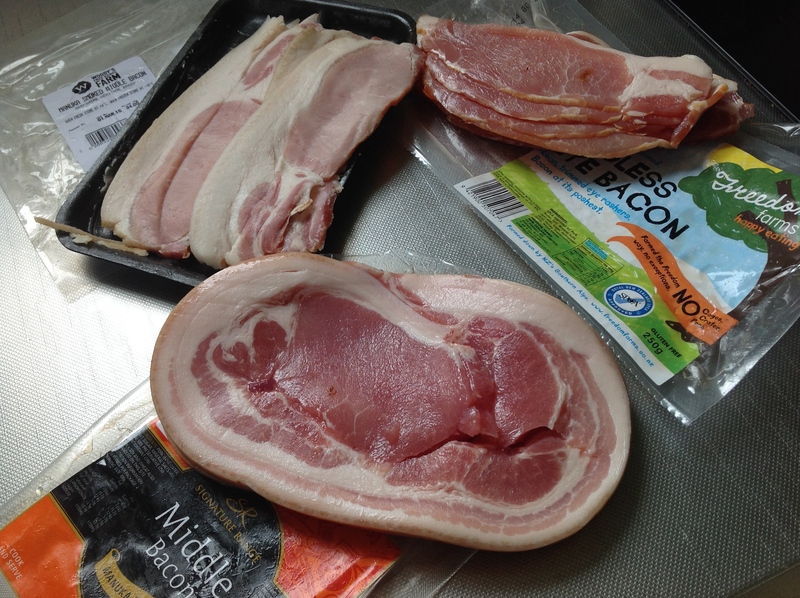 I cannot simply buy in pigs or meat products when I have a shortage of stock and therefore sometimes I simply do not have anything to sell and reluctantly have to let down customers. These are the challenges of my business and I very much rely on my carefully chosen sales locations to ensure the business can continue. 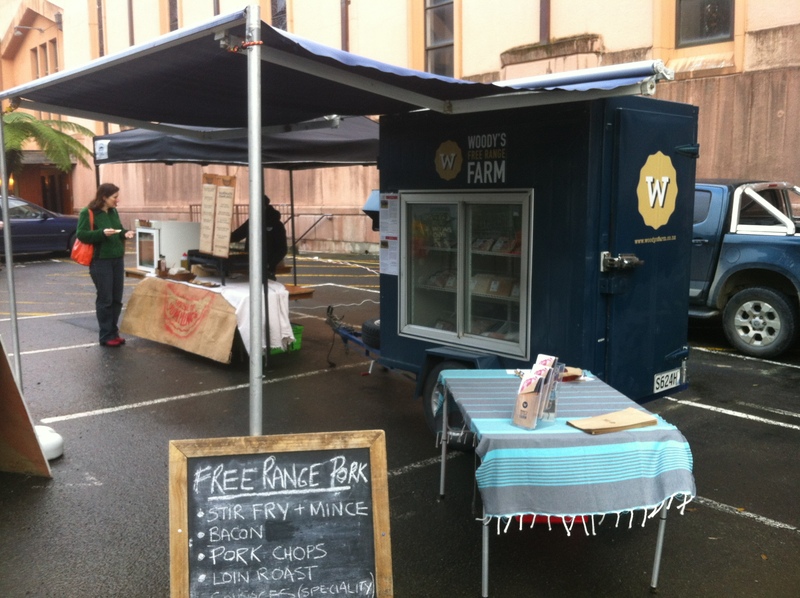 In Wellington I have chosen to sell at and work with, the Hill St Farmers Market (soon to be called the Thorndon Farmers Market), because they are a small community based market with lots of regulars and very focused stall holders. The atmosphere is great on a Saturday morning and regardless of the weather I can always rely on my excellent customers to pop along and say hello. I have been so taken by the Thorndon market that when they asked for stall holders to become trustee’s and help with the running of the market I was keen to join in. One major challenge for The Thorndon Farmers Market is that the location does not easily allow for the market to meet the terms of an Authentic Farmers Market, as governed by the Farmers Market NZ organisation. In respect for this authentication and the organisation the Thorndon market has opted not to become a member, yet. In contrast my other market of choice, Feilding Farmers Market, is a proud member of the Farmers Market NZ organisation and has, for the last three years, been voted best authentic farmers market, last winning the award in 2014. At Feilding I am surrounded by people who bake, cook, create, squeeze, grow or produce their own food. Its definitely an eclectic bunch of people but full of like minded business owners who strive to produce a better product and impart their knowledge to their customers. In an environment like this both the sellers and the customers know that the stall holders are authentic and the competition is on a level playing field. Or so I thought. 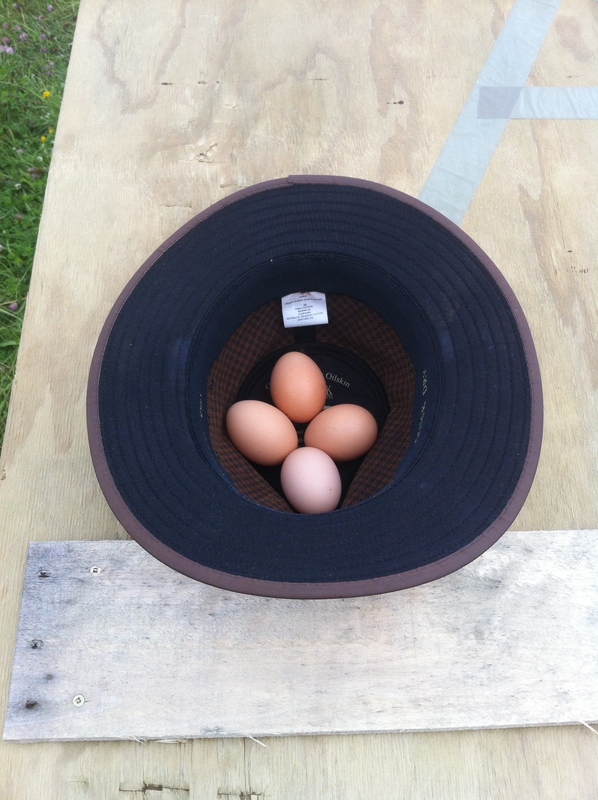 On the 13th February I, like most regular stall holders, arrived early at the market. The normal hours are 9am till 2:30pm but I like to arrive at 8am as often my customers want to get their shopping done before the working day starts. At 9am a large mobile butchery van arrived from Waikanae Butchery, a retailer based on the Kapiti Coast. Given that a butcher is by no means a farmer and that they are able to sell wholesale meat products everyday of the week in their retail store I was sure that this was a mistake and approached the market manager. I was initially told that they had not seen the paperwork and therefore had not been approved but, as they had arrived, they would be allowed to trade for the day. To make my point very clear, I am not opposed to competition. I have spent most of my life working in Consumer Electronics which is one of the most competitive industries in the world. Competition is healthy, creates a better products and is good for the producer and the consumer. However, unfair competition is not healthy, it does not care about the customer or the product and often destroys the person or producer who was striving to improve the product in the first place. (1) A Farmers’ Market is a food market (e.g. no arts, craft, bric-a-brac) with some exceptions for plants and flowers. However it quickly became apparent that I had not initially been told the truth and actually “(FFM) have received and pre-approved the application from Waikanae ButcheryI” There explanation on how they met the criteria and had been approved was that “stallholders must produce or add value to locally grown primary produce. 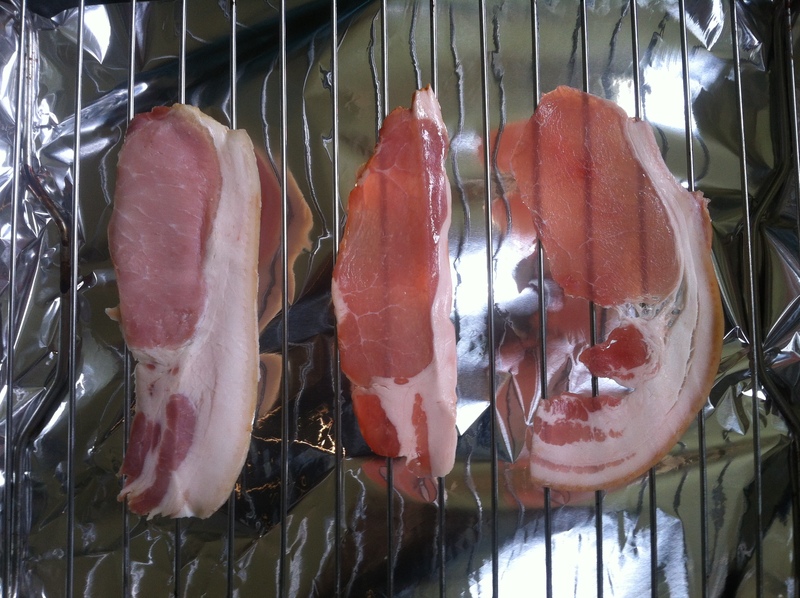 ‘Adding value’ could be as simple as roasting, preparing, cutting and packing produce. Local is a grey area and we have discretion by a case by case basis to go outside the set geographical boundary.” In simple terms the product can be deemed local even if it is from Canterbury and the stall holder would be deemed to be adding value if they simply pack the product. Under these terms any supermarket in the area would be able to sell most products if they can list on the packaging where the produce came from and prove that they have packed the product. Wishing to take the matter to the committee for the Farmers Market, who had a meeting on Friday 20th, I asked the manager to provide the details of the stall holders on the committee but was told that this information was confidential and that my concerns would be passed to the Chair. The following Venison Bouche and I were sent an email to say that Waikanae Butchery presented to the committee and that their promises to work with the management team were accepted and they had been approved. Unfortunately I was not invited to present my opinion and with a one sided argument is was clear that they would be allowed to attend the market. As part of their application Waikanae Butchery offered to not sell Venison and ‘work with’ Woody’s Farm on the pork products that they sell, however as I said at the start of this blog my issue was not about competition but about the morals of a farmers market. As a result of the decision Venison Bouche have already pulled out of the market (you can buy online from them by clicking here) and I am hoping they will join us at Thorndon Market one day. So what will Woody’s Farm do? Personally I enjoying attending the farmers market and Feilding market is about 40% of our income. As we build the business we need this income to keep paying for the pig feed, which currently costs about $2000 per month. 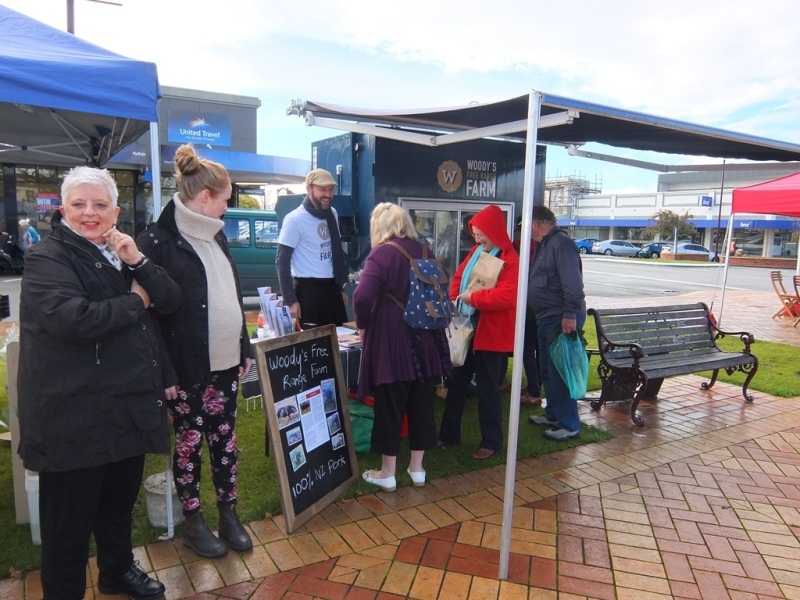 It is indeed sad that Feilding is no longer an authentic farmers market and given that I was threatened “that the Market rules [state] Stallholders must channel all concerns thru the Market Management Team…”. perhaps the decision will be out of my hands. However I will be talking to my customers to see their point of view and I hope that you will help to support me. We have also started to sell through The Daly Larder on Fergusson Street so consumers will be able to get Woody’s Farm product almost any day of the week. It is a very difficult path I have taken in setting up a free range pig farm and somedays it can seem fruitless, with unexpected challenges, but we are nere to stay and I look forward to working with all my customers in the future, where ever you are. I have been chasing water all summer here on the farm. Trying to get ram pumps to work and filling 1000L containers with water and carting them around in the back of various vehicles (melting a clutch in the process). The usual water holes have dried up and the small streams are all but a trickle. It’s definitely been a drought for New Zealand and I have been tested to the best of my very little knowledge about water. I have been praying for rain for a few weeks now, all the grass has turned brown and the vegetables taste like concentrated versions of themselves. Tonight that will change. According to the weather forecast it is going to rain from tonight (Tuesday) to Thursday night and it will be torrential. As I sit here in the kitchen I can see the sun setting on the Tararua ranges. These beautiful hills are also deadly and double as the catchment for the Waikawa stream which passes through our property and separates us, by a small river ford, from the breeding Pigs. It has rained like this once before since we have been on the farm and I was unable to get over the river for 24 hours. Before rain arrives try to feed all pigs with 2 days worth of food. DO NOT try to cross the stream if flow is fast. Stream level will drop in 24 hours normally. In extended periods of raised river flow access to the paddock can be gained through Adrian’s back farm track which starts on the other side of the river. Putting my own plan into action I have been to collect 100’s of kilograms of juicy apple pulp donated by the very kind Sarah and Jono at Organic Nature. I then left big piles, at least two days worth, of yummy apple feed in each of the paddocks. I have made sure the tractor is working and located near the house in case I need to use it to cross the Waikawa. I have filled all the troughs to the brim (although I suspect water is the least of our worries) and all we can do now is sit back and wait. 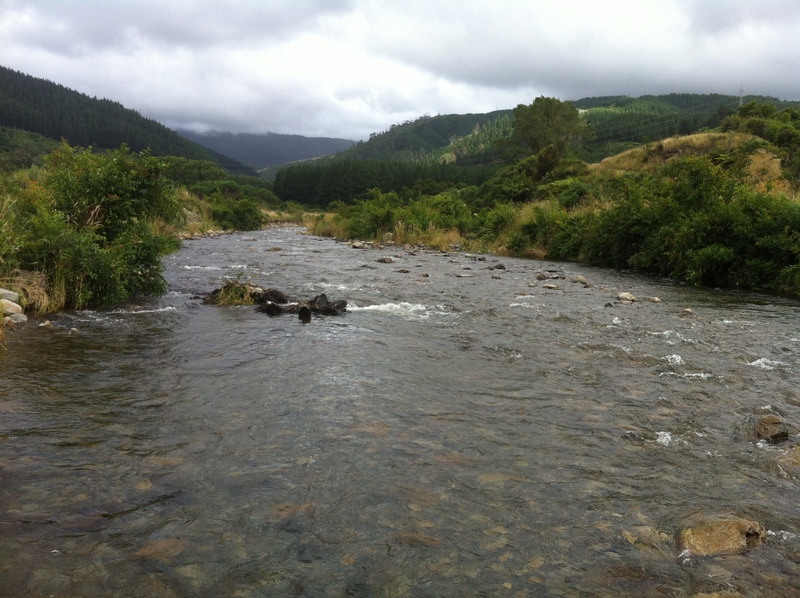 Farming is very much a learning experience for me and so is living with the Waikawa Stream. Everyday brings a new challenge. Luckily there is no one around to judge me on my mistakes, just a herd of pigs who expect me to prepare for problems and create solutions. Good luck pigs, see you soon..
It’s now April 2014 and we are 5 months into the farming side of the business, its time to start selling. 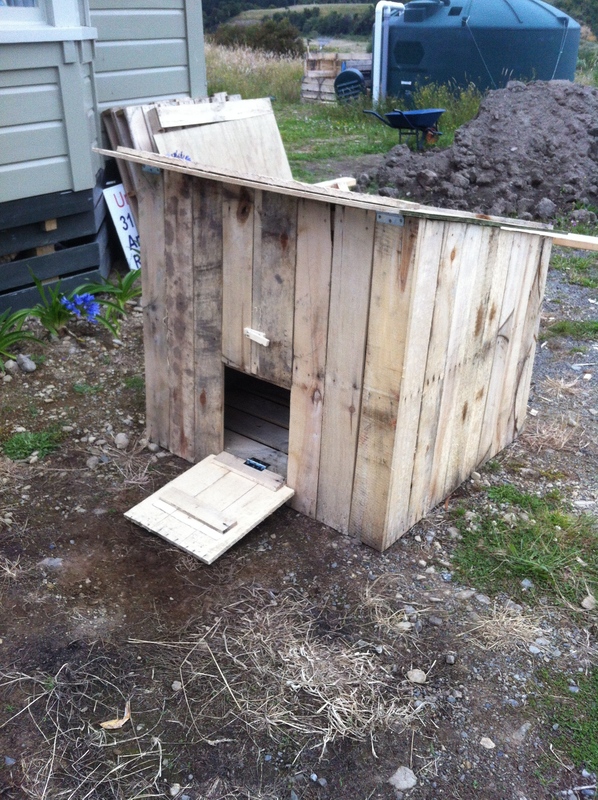 As much as I would like to have a home for old and/or rescued animals we actually need to start making some money. 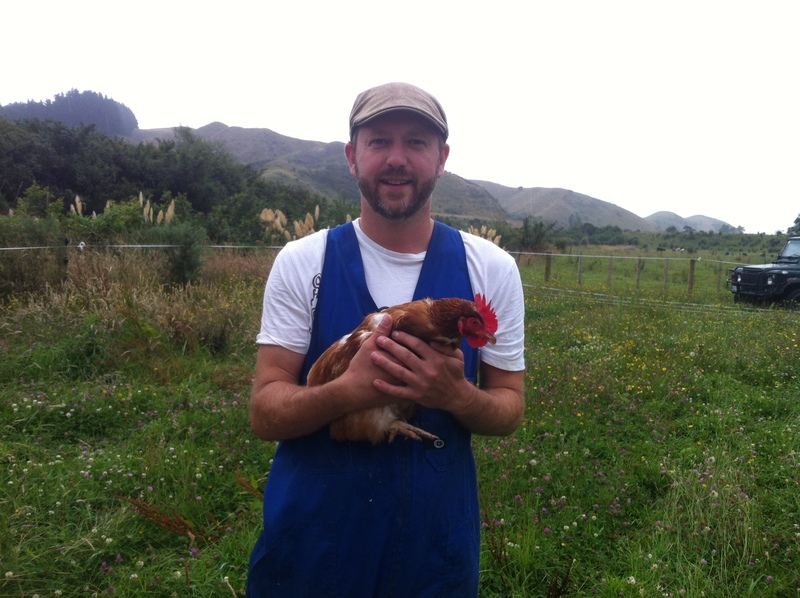 When I started The Startup Farmer blog it was all about my journey from consumer electronics professional to farmer, from riches to rags and from Sydney to Manakau. In just a very short time all of those changes have happened and I am now the farmer and my old life is long gone. I will always be ‘The Startup Farmer’ because everyday I find a new job to do and a new lesson to learn but I am now the farmer at Woody’s Free Range Farm so I think its time that I rename the blog to Tales from Woody’s Farm. Claire and I spent a lot of time discussing the name for the farm and after much deliberation over names that depicted the farm or the location we decided to name the farm after Woody, our dog, who in all honesty started me on the path to happiness and health. 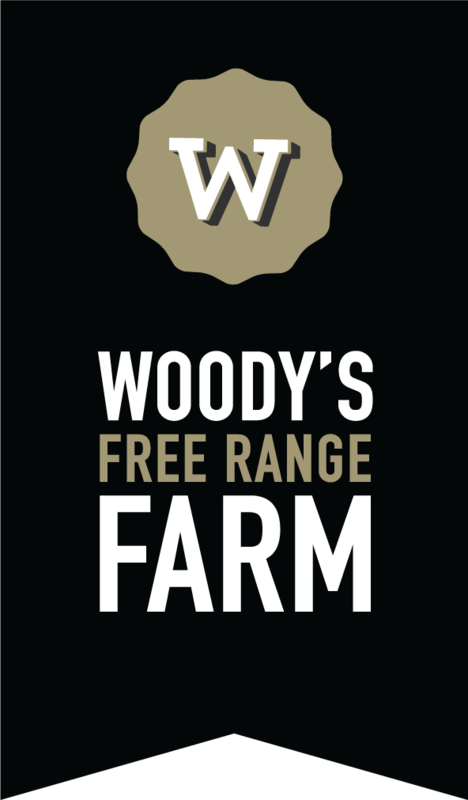 Woody’s Free Range Farm is committed to the health and happiness of all the animals on the farm and as such it seems very apt to name the farm after a dog. Additionally with love the way the brand is fun and not too serious, it tells you what we do without forcing our ethics down your throat, because at the end of the day we all make our own choices. The next step was the logo, we knew we wanted simple and I have a fascination for round logos. I have to give all the credit to Claire’s wonderful friend Dean Pomfrett who put up with our indecisiveness and came up with a logo that exactly met the brief, I really hope you like it as much as we do. The final step is to take all of this goodness and head off to the market. 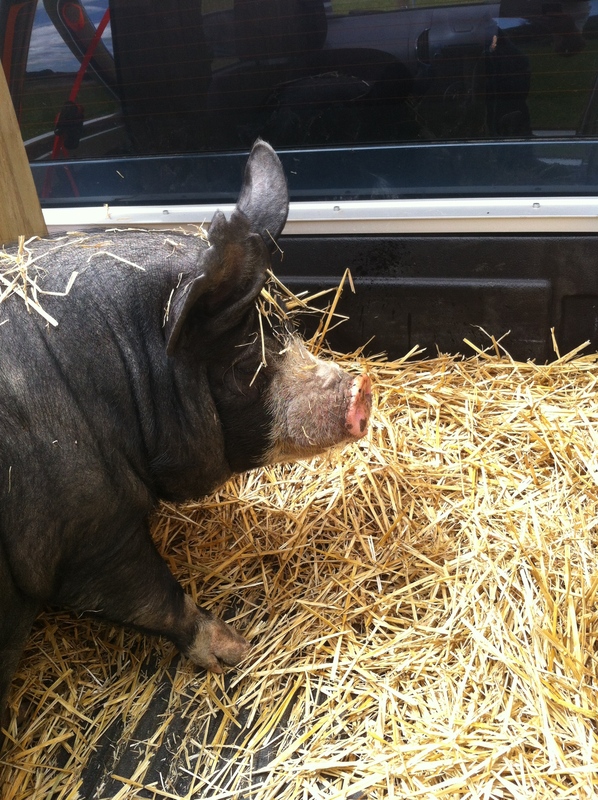 You will remember that on the 1st December 2013 Woody’s Farm welcomed the first of our pigs to the farm, we called them the Wanganui Nine. The Wanganui Nine are now coming up to seven months old and will soon have to be taken to the abattoir, it’s a job that no one wants to do but it has to be done. The upside to this is that we will soon have lovely yummy ham, bacon and meat. And after that, the Farmers Market. I have decided to focus on two Farmers Markets at this stage, the Hill St Farmers Market in Wellington on a Saturday and the Fielding Farmers Market in, you guessed it, Fielding on a Friday. Until we have more little piggies coming to market these will be the only markets we can serve. Additionally I will be talking to restaurants to get them to taste and try the meat for feedback and advice, lets hope it’s all good. Yummy, tasty free range Devon (Large Black) pork all wrapped up and ready for the farmers market. As a Christmas special today you get two blogs, enjoy! The last week has been a week of much disappointment and sadness for Landy. A few weeks ago I decided to get him serviced and called up the local mechanic in Ohau. Having been assured by the mechanic that he knew the car from its previous owners and that I was allowed to drive the Landy on the road without tax or insurance I set off on the 5 min journey to the mechanic, Claire following closely behind in the Colorado. Almost three weeks later, two deliveries of parts from the UK and many follow up calls to the mechanic I was at last told she was ready to be collected. Dreaming of a car that started straight away, stopped when you pressed the brakes and no longer smoked like an old woman sitting in a rocking chair in Cuba, we set off to pick up the car. And this is when the story starts to turn sour. I was prepared for the bill to go from the $390 mark mentioned the last time I talked to the mechanic to more like $690 (he had replaced the brake master cylinder and rear brake cylinders with parts I had bought from the UK) but I was not prepared for the slightly nonchalant way the mechanic informed me the cost was actually $1600. Lets put this in perspective, the car drives ok and is great on the farm but it is not roadworthy and therefore probably not even worth $1600, so what on gods earth made him think he could try and charge $1600 for work that he had not even discussed with me? After a lengthy conversation he agreed to reduce the cost to $1000 and by then I had had enough of the conversation and Claire was calling me from the Colorado to ask if she could leave the forecourt where she was waiting. I took the keys, reminded the mechanic that I was not happy and set off to the petrol station to fill up before heading back to the farm (having been told there was enough petrol for the 4 min drive). As I drove off the forecourt, with Claire heading in the opposite direction, I immediately noticed that the brakes were still VERY spongy and the speedo no longer worked. Then I got an even greater surprise, the choke handle had been moved, I do remember the mechanic had called me a few weeks ago to say the choke was tough to pull because it was caught on something, he had decided to reroute it, I thought he meant behind the scenes in the engine bay but what he actually did was drill a hole in the dashboard on the other side of the steering wheel and put the handle through the new hole, worse still it was no longer connected to the engine at all and does nothing. 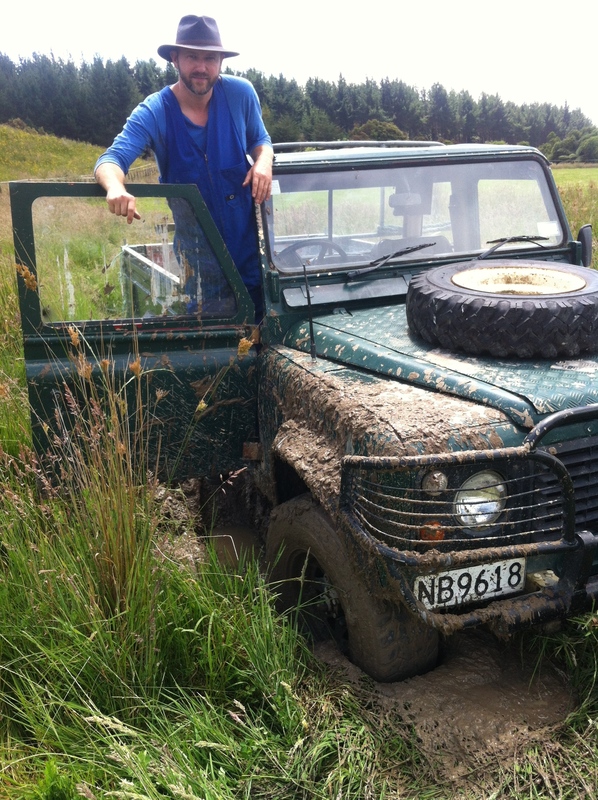 Landy, bogged down by earthly problems. Like an angelic Ginger version of Lara Croft, Claire jumped in the Colorado, forded the river and arrived like a scene from Raiders of the Lost Ark at the gate of the paddock. Within about 10 mins we had managed to free Landy from his resting place and everyone set off in their respective cars, my brakes seeming to get softer and softer as I came down the hill to the river. A quick inspection under the car and I found the source of the problem, whilst trying to get out of the bog I had managed to wind a good percentage of the field around the drive shaft which in turn had ripped the brake pipe from its location and twisted it around the shaft until it had snapped. In summary, after spending $1000 I now have a car with no brakes, a leaky petrol tank, a wildly over excited fuel gauge and a choke that doesn’t work sticking out of a new hole in the middle of my dashboard. Bringing me neatly to this weeks Farm School Detention which is: if you really want something done, get on the internet, buy a book and do it yourself. I am now researching for a brake pipe plan/design for a 1987 110 Land Rover and I will be fitting it myself, no more Mr Mechanic for me.